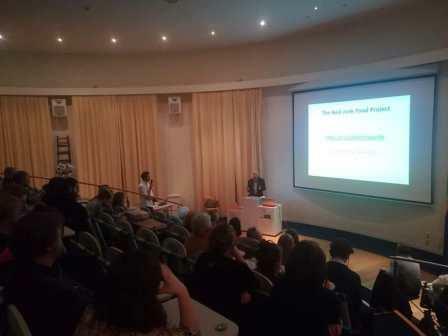 Incredible Edible Todmorden is pleased to announce that we were invited to speak at the Festival Nourrir Liége on the evening of Friday 29th March at the Liége Botanical Gardens. took time to show us their beautiful city as well as ensuring we arrived safely where we had to be. Although no stranger to public speaking this was the first lecture I had given on behalf of I E T. A good audience attended to listen including local civil dignitaries; one husband and wife previously having met Mary, travelling over 100 miles. They are now Facebook Friends with me. I had been allocated 40 minutes, but such was the interest I ended up talking for an hour and forty minutes! 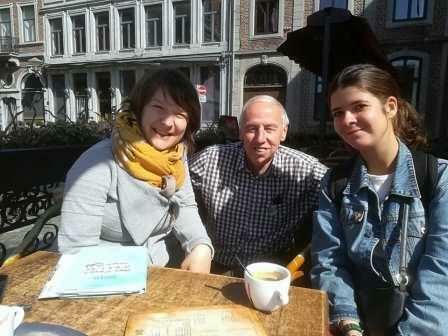 The following day Andi and I attended the Centre of Liégeois du Beau-Mur to meet and have breakfast with volunteers from ‘Liége Incroyables Comestibles’. 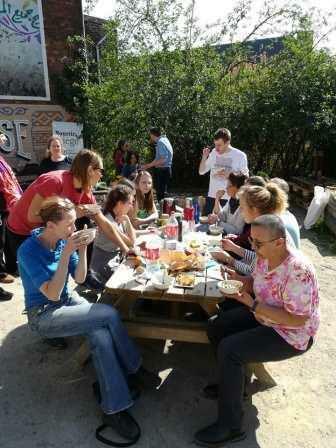 Andi was able to describe her volunteer role helping with the cooking. 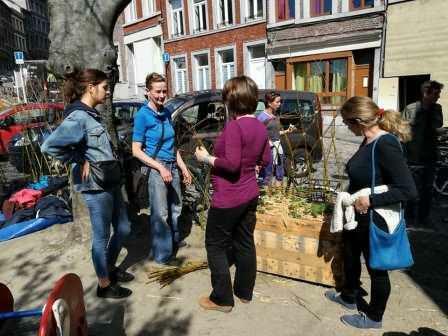 From there the group moved onto an Incroyables Comestibles volunteering workshop up in the older part of Liége. Similar to ourselves everyone was much involved in making wooden planters and working on existing veg beds, just as we in Todmorden do. Everyone had lunch of soup and bread seated around the table, much the same as us, but in the sunshine overlooking the rooftops of the city. Once again everyone was so welcoming and inquisitive of Incredible Edible Todmorden. 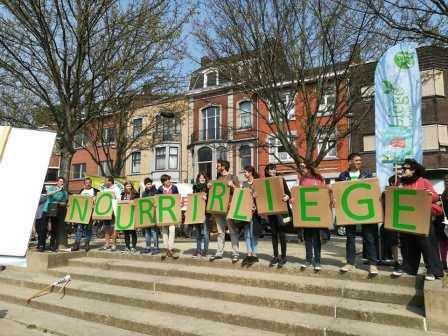 We are indeed famous, with them trying to emulate our work in the streets of Liége. 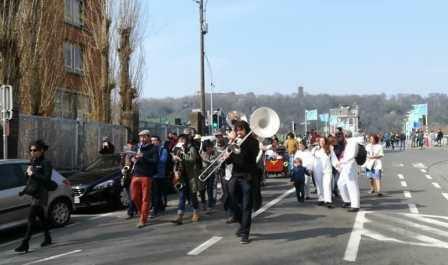 culminating in a closing parade of the Festival Nourrir Liége involving up to 5,000 people celebrating in a carnival atmosphere.